Every mother knows that countless things can go wrong both during and after pregnancy. Dwelling on these things can cause stress and anxiety beyond belief. That’s why it is crucial that expectant mothers – as much as humanly possible – put their trust in doctors. Even then, however, doctors sometimes encounter unique problems that demand creative solutions. Now imagine holding your baby in the palm of your hand. 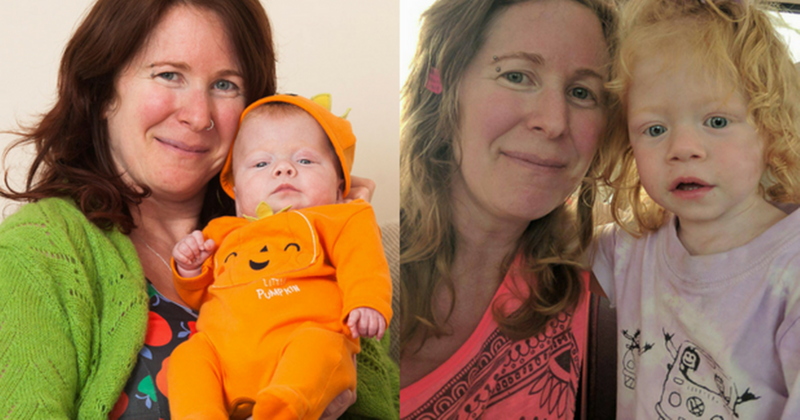 When Pixie Griffiths-Grant was born three months premature, she weight 1.1 pounds. At just 28-weeks old, she decided to arrive earlier than expected via C-section at Derriford Hospital in Plymouth, England. At the time, Grant was horrified that her newborn daughter would not survive. Because Pixie was born three months premature, the hospital did not have equipment suitable enough to give her proper care. In fact, doctors believed that the premature newborn would not survive more than an hour. To regulate her temperature, they placed Pixie inside a sandwich bag from Tesco, a British grocery chain. Surprisingly, this technique is not as random it seems. According to a 2013 New York Times article, premature babies can be swaddled in sterile plastic wrap. Although Grant was unable to hold her daughter for 18 whole days, the doctors’ decision to put Pixie in the sandwich bag may have helped save Pixie’s life. Within two months, Pixie started to gain weight and by her third month, she was 7.5 pounds. That’s when Grant was finally able to take her daughter home. “It was amazing that she survived, but it was truly traumatic,” said Grant. Slowly but surely, however, Pixie has grown stronger and stronger each day. Her mother describes her as “chatty” and “so happy and confident.” She even started attending school. Stories like this one just go to show how fragile life is – it can be given and taken away in a heartbeat. Our hope is that this article reminds you of how fortunate you are to be alive today, right now.